PSG - Official Paris Saint-Germain 'Neymar' Keychain - Blue, red by PSG Paris Saint-Germain at Resha Laser. MPN: psg-keychain-neymar. Hurry! Limited time offer. Offer valid only while supplies last. 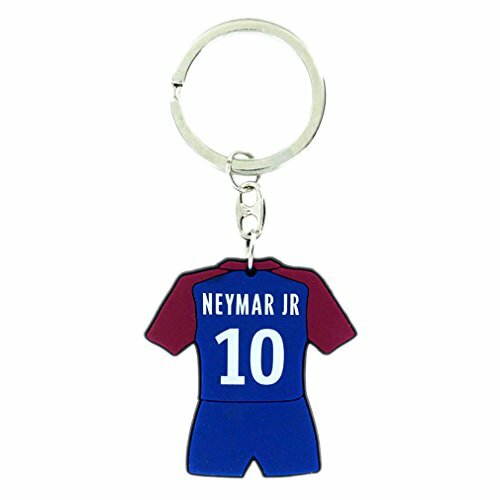 High quality Official PSG Keychain, a tribute to Neymar Jr of the PSG Paris Saint Germain football club. Pattern: PSG logo and inscription Neymar Jr.
High quality Official PSG Keychain, a tribute to Neymar Jr of the PSG Paris Saint Germain football club. Pattern: PSG logo and inscription Neymar Jr. . Material: 100% rubber. Dimensions : 14.7 x 4.7cm - 5.8" x 1.9". This item is made under official license of PSG Paris Saint Germain. Dimensions : 14.7 x 4.7cm - 5.8" x 1.9"
If you have any questions about this product by PSG Paris Saint-Germain, contact us by completing and submitting the form below. If you are looking for a specif part number, please include it with your message.